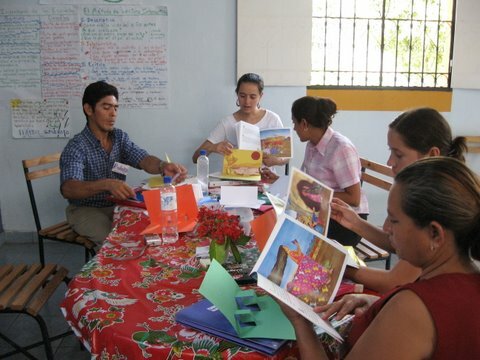 The Center for Critical Environmental and Global Literacy (CCEGL) was founded in response to an urgent need to empower teachers, students and communities to understand and confront critical social and environmental challenges both locally and globally. Drawing on 15 years of experience preparing teachers and working with schools in culturally and linguistically diverse Bay Area communities, the founders of CCEGL support educators to develop rich educational projects and practices that kindle the passions of students, teachers and families, deepens their understanding of environmental challenges, fosters literacy and builds strong learning communities. It is our belief that education must be critical, social justice centered, irresistibly engaging and relevant to the life of the learner. Increasingly, educational options for youth, particularly in struggling districts, have been narrowed. Curriculum that does not connect to the pressing issues in students’ and teacher’ lives and does little to connect schools to families and communities has become the norm. CCEGL aims to support curriculum that validates the lives, experiences and concerns of students, while making links to others around the world who face similar struggles. CCEGL serves as an umbrella organization that coordinates and supports a variety of educational projects connected to our vision and mission. Through ongoing professional and community institutes, workshops, family literacy events and after school programs, CCEGL has brought to the Bay Area unique educational opportunities that are content rich and inspire ongoing inquiry and action. Our work emphasizes interactive pedagogy and the vital importance of education for a democratic and just society. The CCEGL intent is to further participatory democracy, environmental stewardship, and cross cultural and global friendship and understanding, based on respect, cooperation and the themes of peace, social justice and environmental sustainability. Through our programs, we encourage collaborations among educators, families and communities and partner with schools to develop dynamic holistic programs that support the needs of all learners. 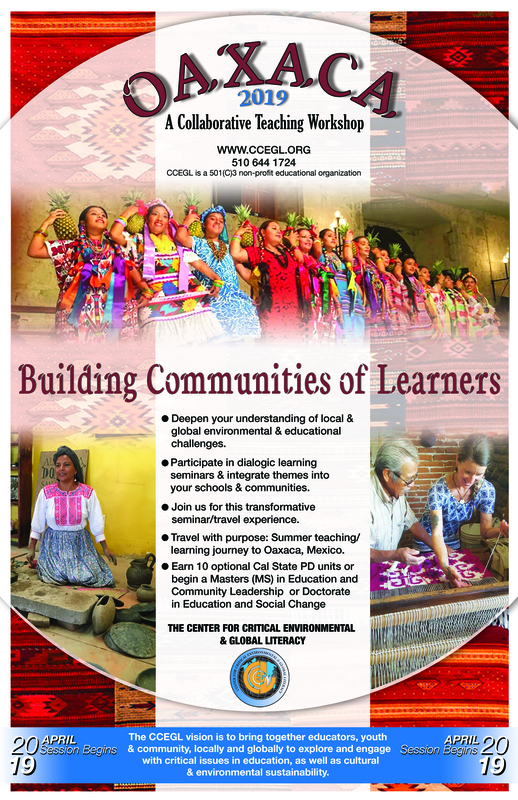 A continual exploration of new perspectives and pedagogies is integral to CCEGL’s programs. In turn, students deepen their learning outcomes by developing knowledge, skills and a commitment to a brighter future of learning based on the needs of their own communities and the realities of their lives. The CCEGL Board of Directors and Advisory Board are composed of environmental, social justice and international educators, classroom teachers, journalists, researchers, investigative reporters, publishers, social workers and school leaders all mutually committed to the transformative power that exists within students, teachers, schools and communities.